I am the Secretary General of Africa Nutrition Society. I graduated from University of Ife (Now Obafemi Awolowo University), Ile-Ife, with a B.Sc. degree in Chemistry, an M. Sc. Degree in Chemistry from University of Ilorin, Ilorin, Nigeria, and a PhD degree in Human Nutrition from University of Ibadan, Ibadan; Nigeria, I currently lecture in various aspects of Human nutrition in the Department of Human Nutrition, University of Ibadan. I am an active member and past executive of Nutrition Society of Nigeria. I was an Executive Council member of the society in 2010 as the Vice President (South) between 2010 and 2014, and an Ex-Officio member between 2014 till 2016. During this period, I resuscitated the confidence of people from Southern part of Nigeria in the society through personal advocacy and persuasion, improved the membership level from the Southern part, especially the Southwest region through recruiting young members especially students both at Undergraduate and Postgraduate levels. Also, I contributed to resuscitation and sustenance of Oyo State Chapter of Nutrition Society of Nigeria, planned with and participated effectively in their programmes which include nutrition advocacy and nutrition education/sensitization of the community. As West Africa representative between October 2012 and October 2016, I improved students’ attendance and registration at conferences through regular persuasion and advocacy, and served as link between Africa Nutrition Society and members of our Nutrition Society. I mobilized people, especially many Nigerians in becoming registered members of ANS. I was among the people who were foundation members of Africa Graduate Student Nutrition Network (AGSNet), a network that has assisted to link a lot of young Scientists/Nutritionists with the outside world in the field of Human Nutrition and allied sciences. I also played active role in establishing Nigeria chapter of AGSnet. I am the Nutrition Expert for West Africa Health Organization (WAHO) on review of harmonized nutrition curriculum for B.Sc. and Diploma certificate in West Africa, a Co-Investigator, Nestle Healthy Kids intervention programme evaluation between 2013 and 2014. I have also taken part in many of UNICEF programmes, especially as Resource person for Child Health Week in many states of Nigeria. 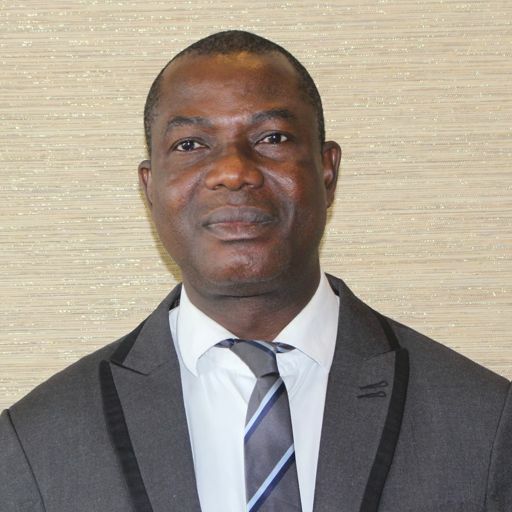 Currently I am a Reviewer for African journal of food, agriculture, nutrition and development (AJFAND), African journal of agricultural research (AJAR), African journal of food science (AJFS), Journal of food composition and analysis, British journal of applied science and technology.